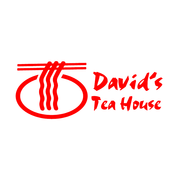 "In the year 2003, the very first David's Tea House (DTH) opened on Tomas Mapua St., in Chinatown. It was a quaint and humble eatery that sits a maximum of about 20 people where some of the food was prepared right in the dining area since the kitchen was very small. The smallness of the restaurant didn't deter dinners who became curious of the setup as it was one of the first in Chinatown that offered authentic Hong Kong Style Dimsum, Noodles and Congee at price that are ""street level"" but with taste that won over many food enthusiasts and gourmands." Rate and review Davids Tea House - Hotpot Restaurant (Ayala the 30th Mall, Pasig) in Pasig, Philippines! Share your experiences at Davids Tea House - Hotpot Restaurant (Ayala the 30th Mall, Pasig) with your friends or discover more Chinese Restaurants in Pasig, Philippines. ★★★★★ Very Good local Dim Sum place. Try the Custard Cream Bun or for the diehard: Steamed Chicken Feet with black bean sauce..